The Ornamentalist: simple design = big change! 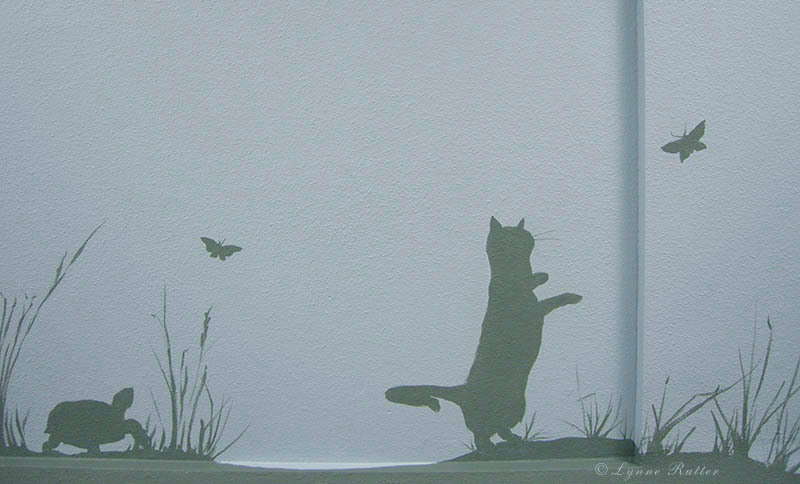 sketch for silhouette mural: run spot run! 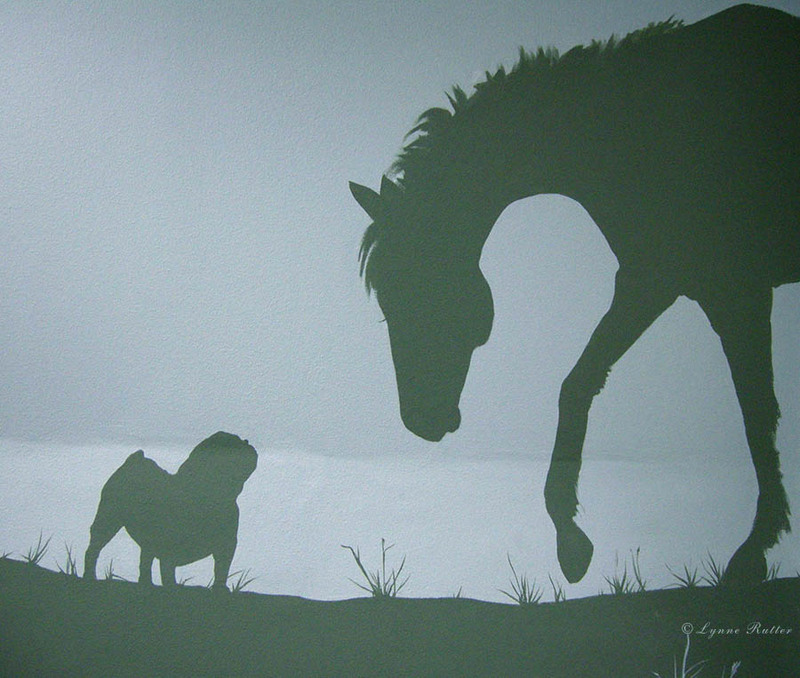 I recently completed a deceptively simple silhouette mural, for a veterinary ophthalmology practice in San Francisco. This mural is designed for an angled, and very long hallway wall, with a bumpy uneven surface. For an assignment like this the two most important things are a good drawing, and the right color. The wall "before" was stark white, in an uneven 36 foot long sloping hallway. Just painting the wall a nice color of warm blue had a tremendous impact on this space. bulldog and horse see eye to eye! The client asked that the design feature a variety of animals, emphasize the importance of sight, as well as show interaction between the animals and their human companions. Both the reception area and the hall now have a nice view! 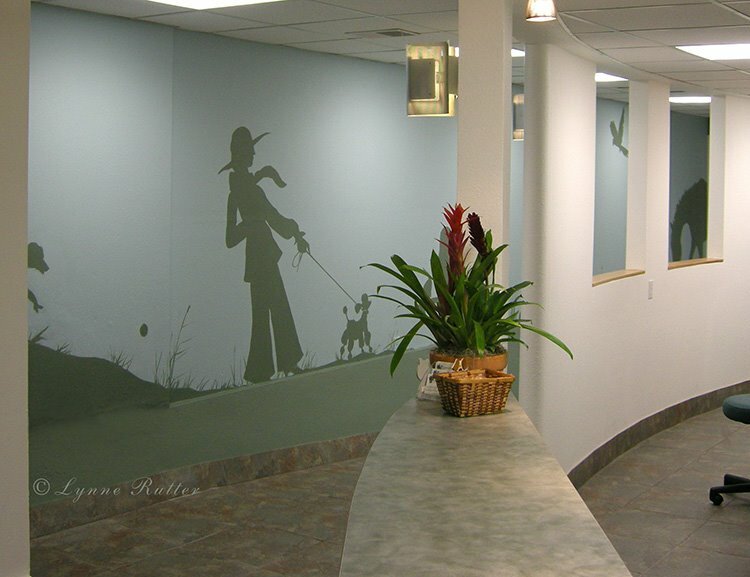 You can see this mural in person at the office of Veterinary Vision in San Francisco. You summed it up.....it IS all about color and design. I think you gave them much more than they expected! 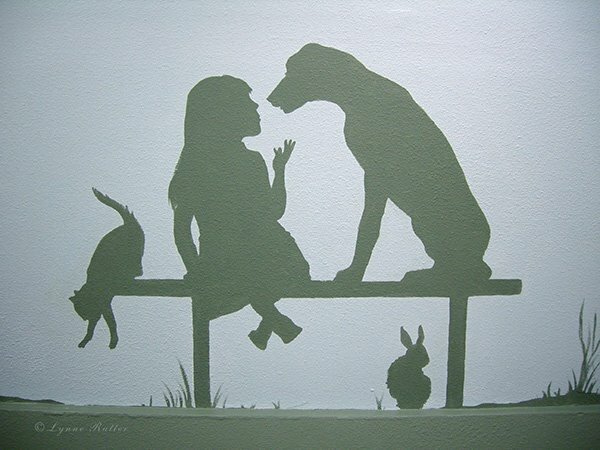 It reminds me of 40's children's book illustrations. Love it. This is lovely, contemporary with a nostalgic feel to it. Very cool. I love this mural! So detailed and so elegantly simple. Wish I could walk down the hall a couple of times! thanks, all. it was a bit of a brain teaser to include so many animals without getting cluttered. but i love a challenge!